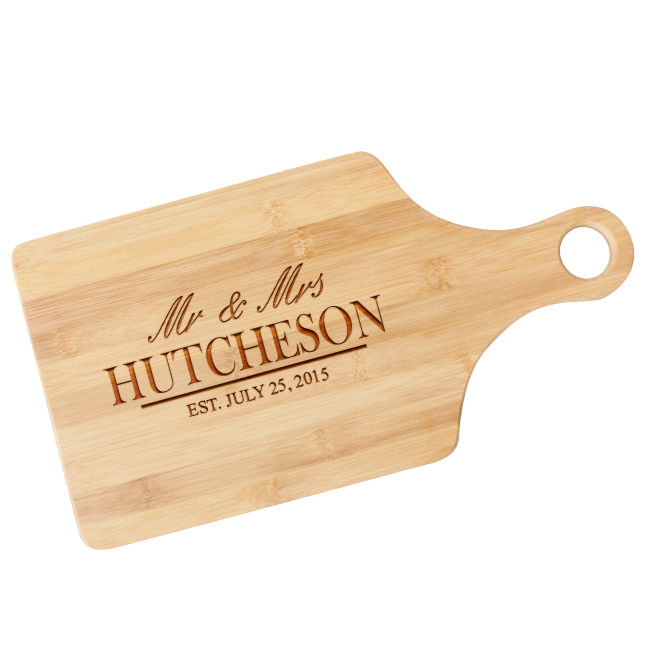 Engrave a special gift for the newlywed or newly engaged couple with our personalized Mr & Mrs paddle cutting board. 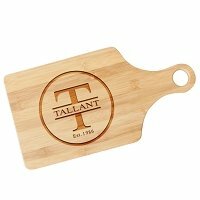 We will engrave this an elegant script top line, a large last name, and a smaller line of text for a date or special message. 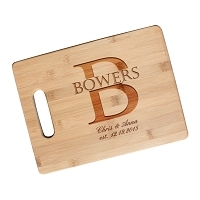 This also makes a wonderful anniversary gift for the established couple, or customize it with first names instead of Mr and Mrs. Our paddle cutting boards are crafted from bamboo, which is a superior hardwood for use and durability in a kitchen environment. 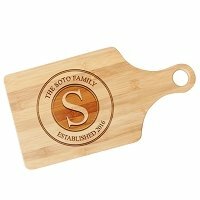 Even if the couple doesn't cook, they can appreciate the fine craftsmanship of this board, and display it as kitchen decor. 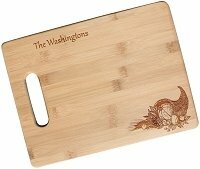 This board measures 13.7" x 7" x .5" from board to handle tip. 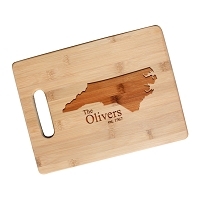 • We recommend occasionally rubbing with board oil to maintain the wood. 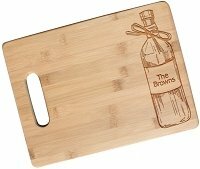 • Please note color variations are natural to bamboo wood which can cause the engraving to be darker or lighter than photos.